It's the perfect casual look for winter! Catherine, Duchess of Cambridge, is stepping into the new year in style! 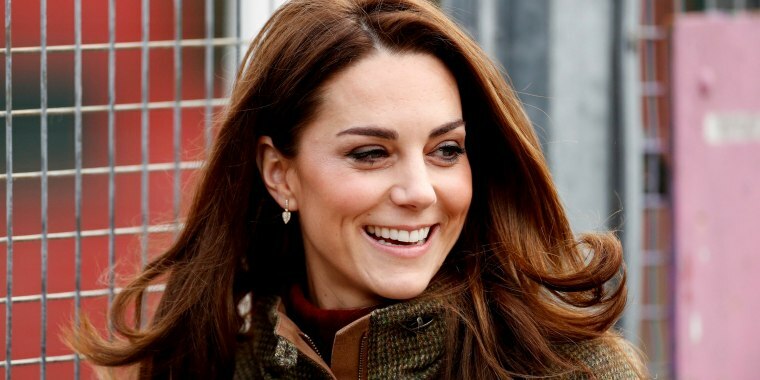 The former Kate Middleton sported a chic, casual winter look for her first official appearance of 2019, a visit to a community garden. The duchess wore gray skinny jeans, a tweed jacket, a cozy turtleneck and ankle-length combat boots as she greeted children and volunteers at the King Henry’s Walk Garden in London. Her earth-toned ensemble was the perfect outfit for a garden visit, which included some outdoor pizza-making with children and families. Her latest look echoes an outfit she wore back in October when she visited the Sayers Croft Forest School and Wildlife Garden in London. For that outing, the duchess wore her trusty pair of Penelope Chilvers long tassel riding boots, which she has been rocking for more than a decade. She could easily have worn those boots again to complete her latest look, but maybe she wanted to shake up her style a bit with these new, edgy combat boots from See by Chloé. The duchess wears skinny jeans now and then for more casual royal outings, and she has clearly mastered the art of pairing skinny trousers with cute jackets and blazers. Here’s looking forward to another year of impeccable style from the Duchess of Cambridge!